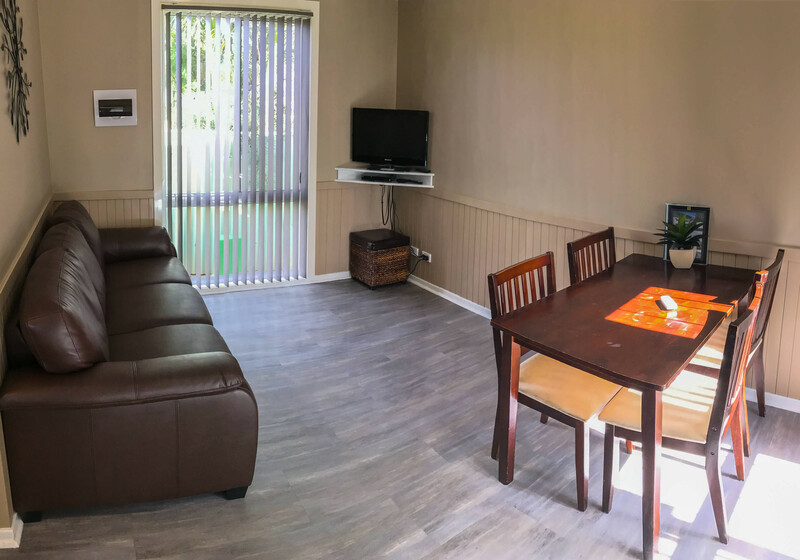 Our newest villa is our biggest and best yet. 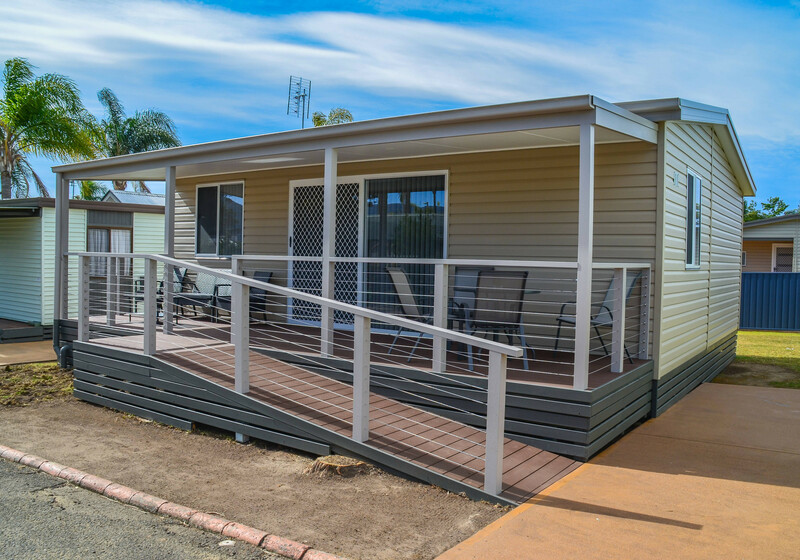 This villa contains a ramp for access, and wider doors to accommodate for guests with mobility issues. 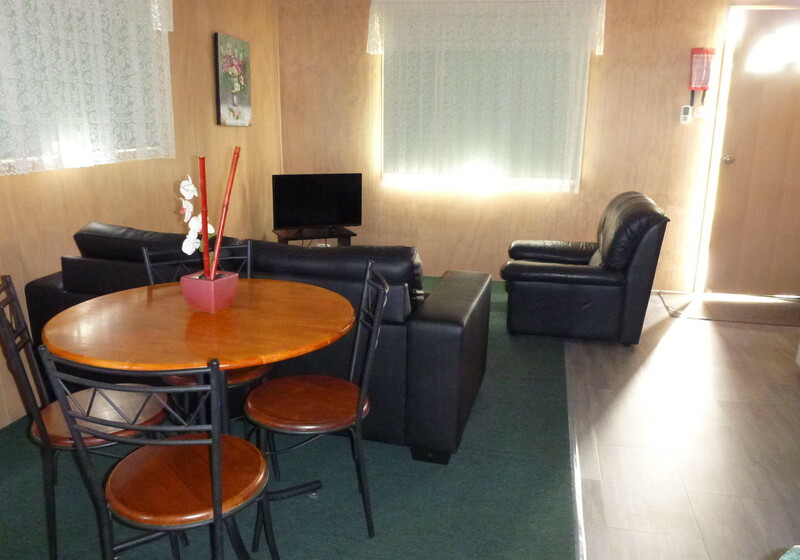 Along with this, the villa contains comfortable seating in the living area and dining area, along with a kitchenette. 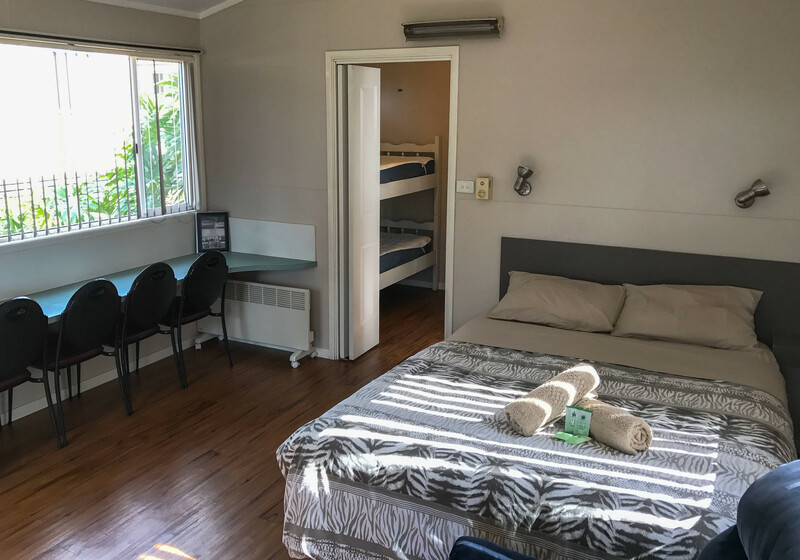 The main bedroom contains a queen bed, made up with quality linen and doona, along with bedside tables, reading lights, and electric blankets. 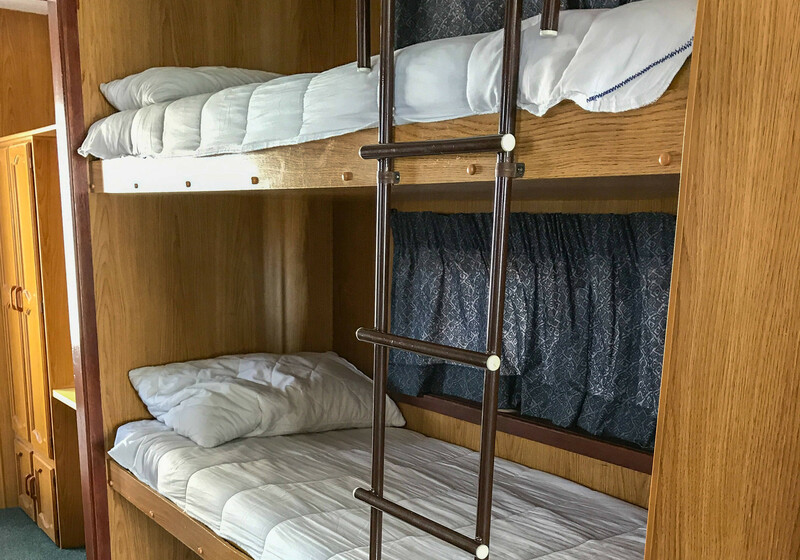 The second bedroom contains two adult-rated bunk beds. 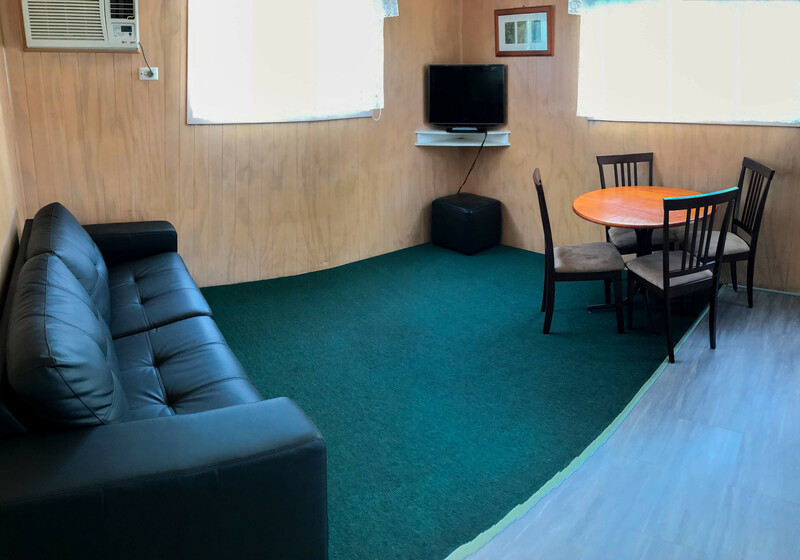 The veranda on this cabin is spacious, with an outdoor lounge and a dining table, so there is plenty of room for the entire family. 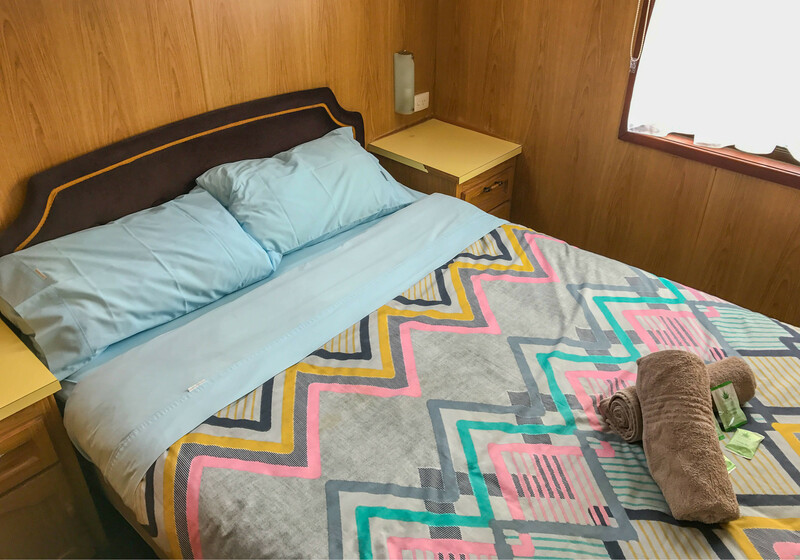 reading lights, and electric blankets. 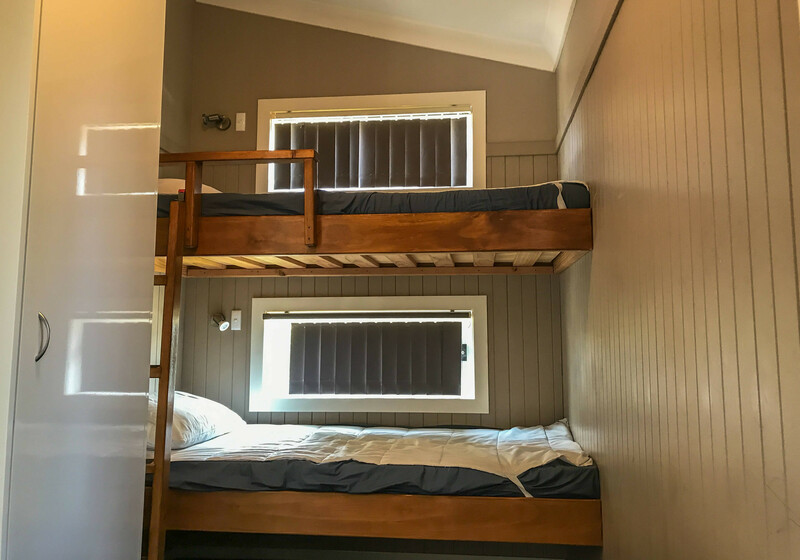 The second bedroom contains a single ensemble bed, with custom-made built-in bunk beds (meaning that the person on the top bunk will not rock the person on the bottom bunk). 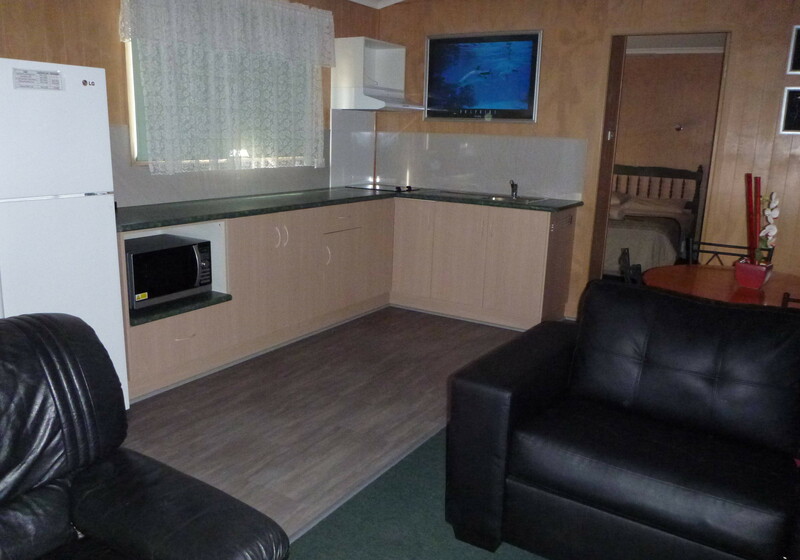 These cabins also contain a full kitchen, with a dining table, and a comfortable seating area. 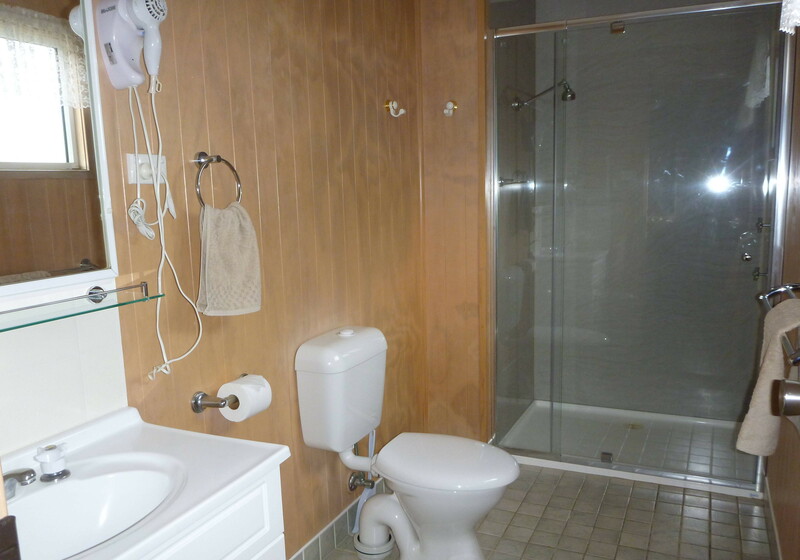 The bathroom contains heated towel rails, and heat lamps. 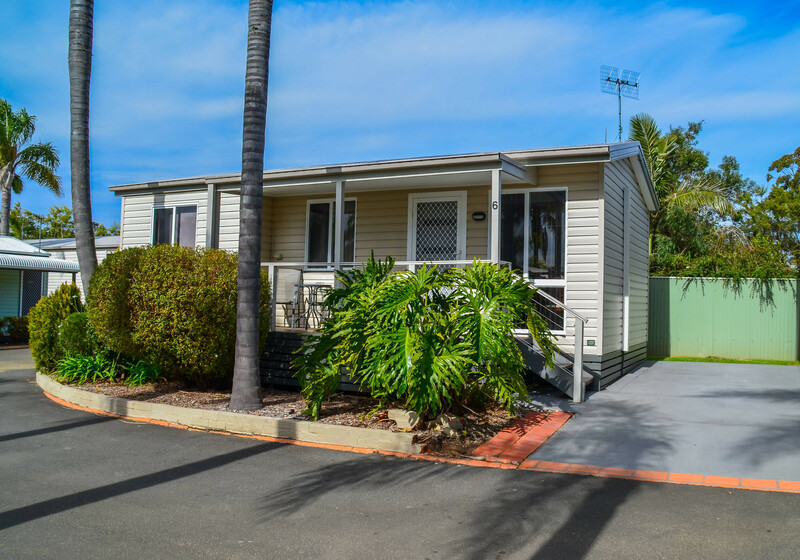 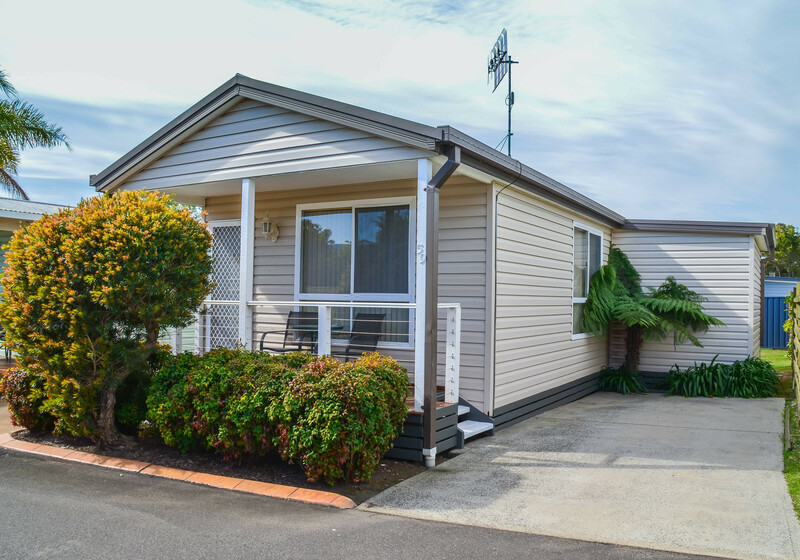 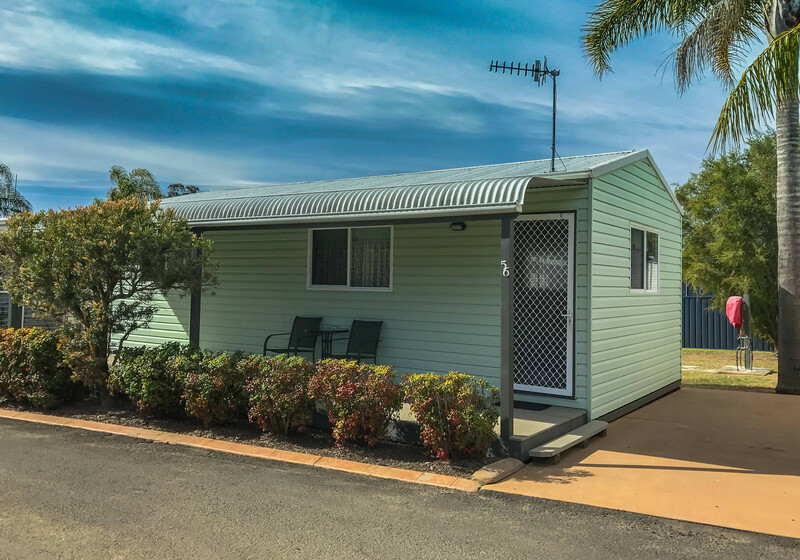 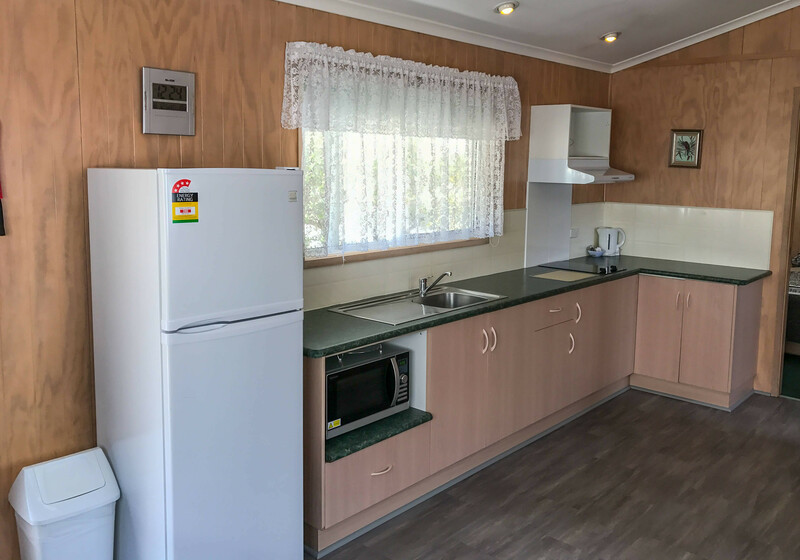 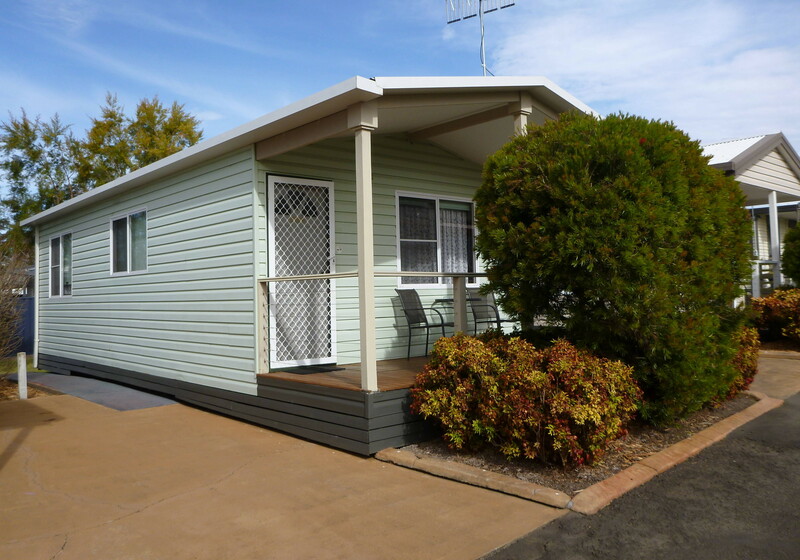 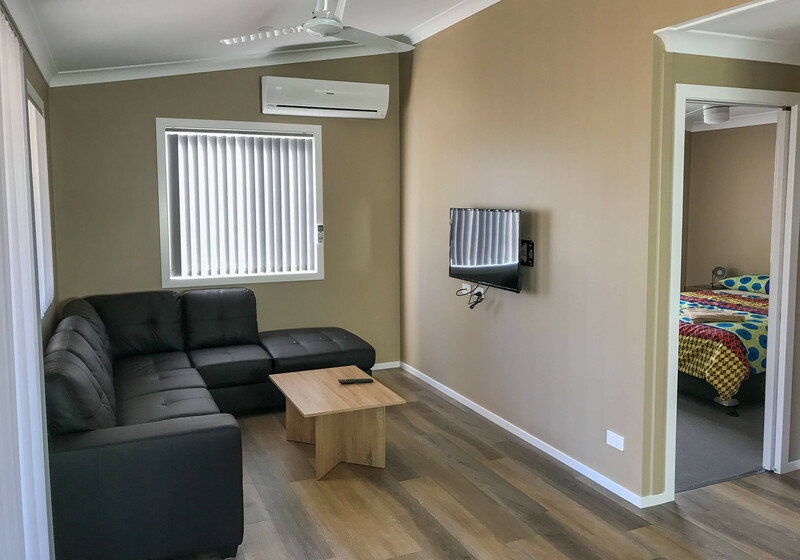 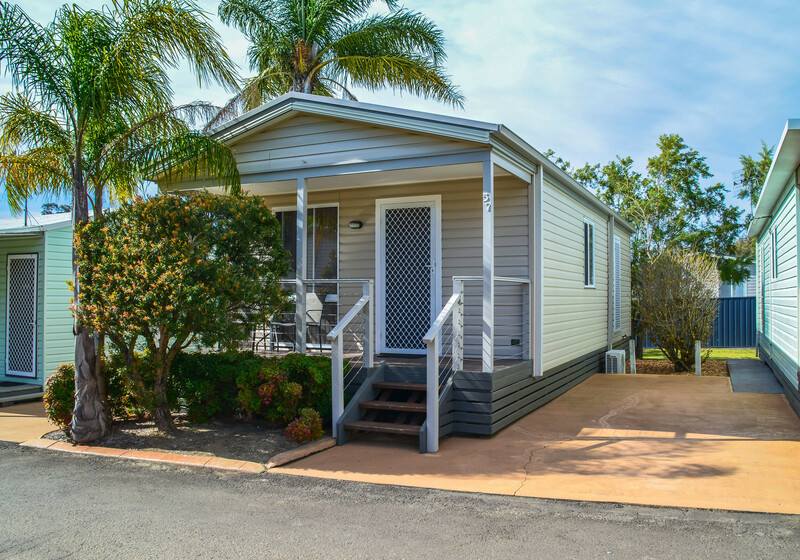 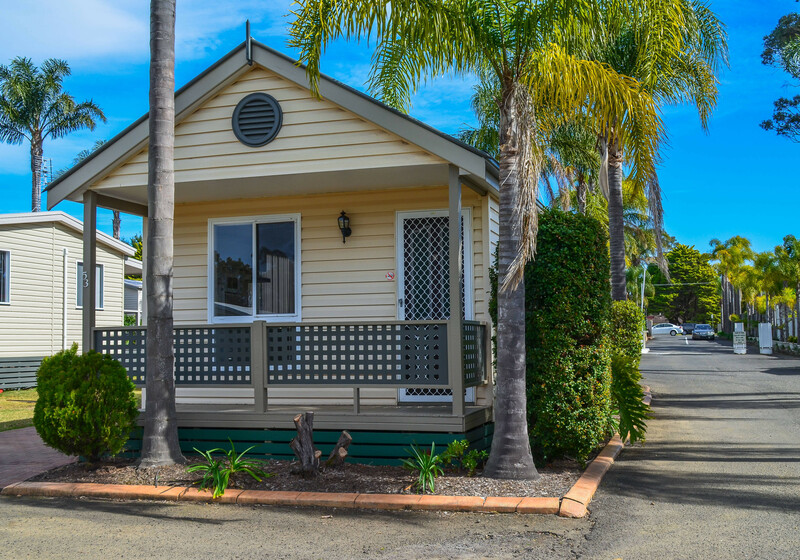 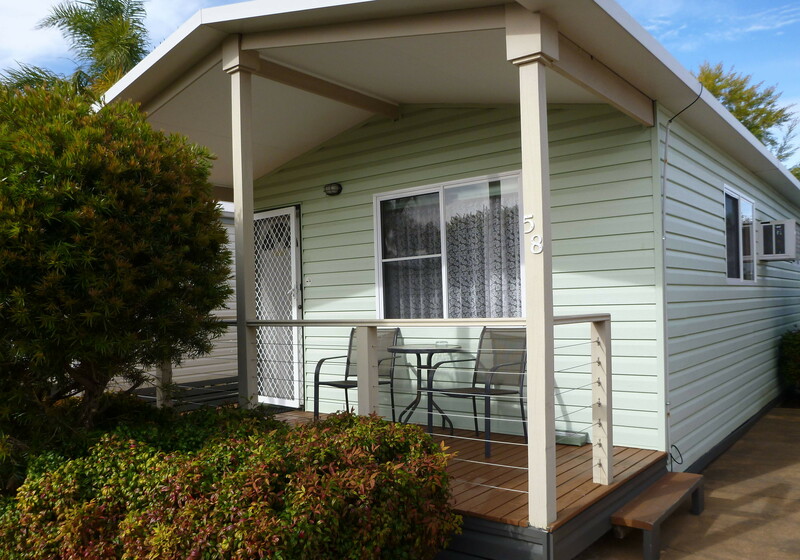 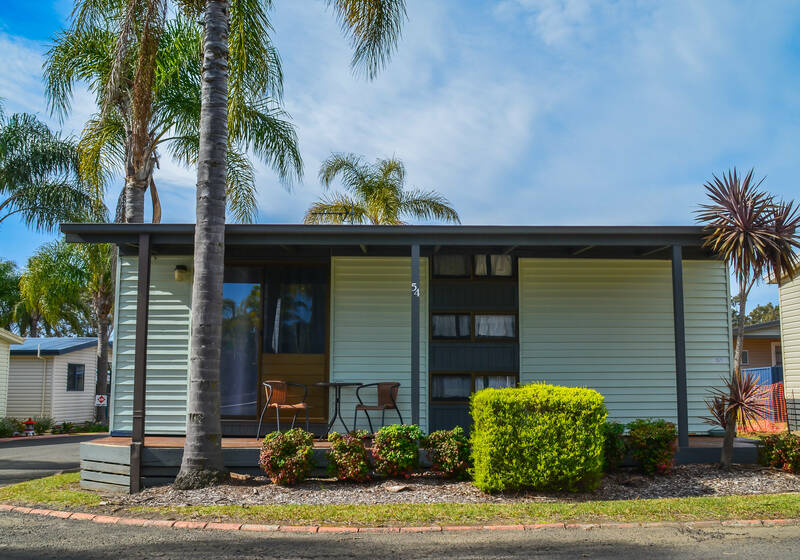 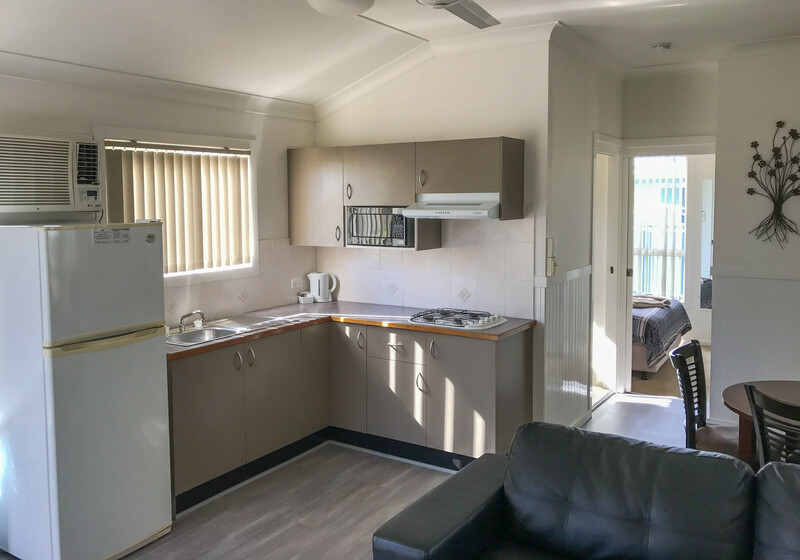 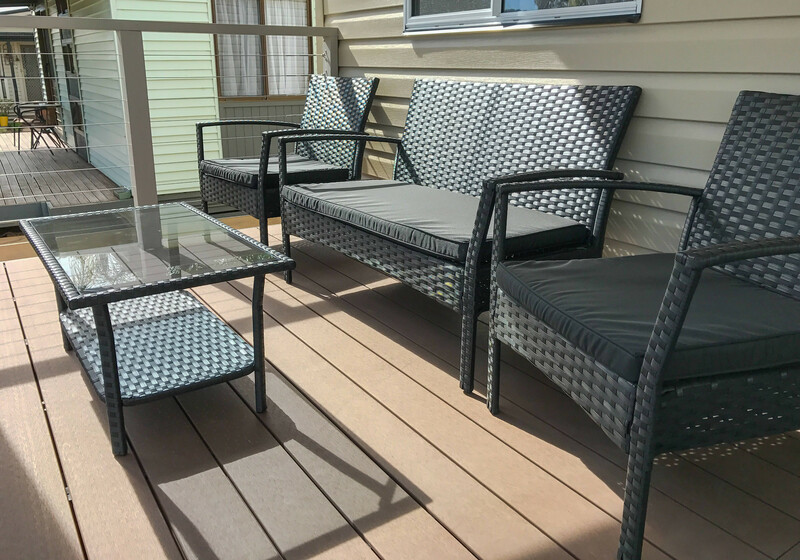 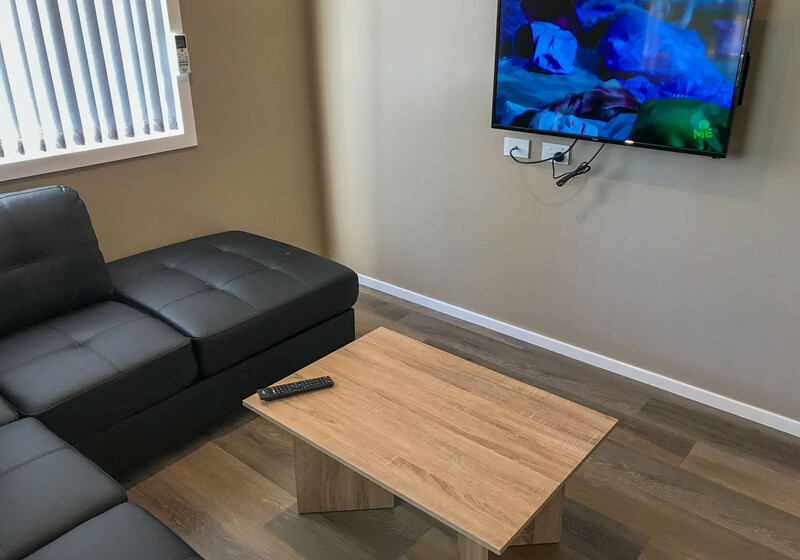 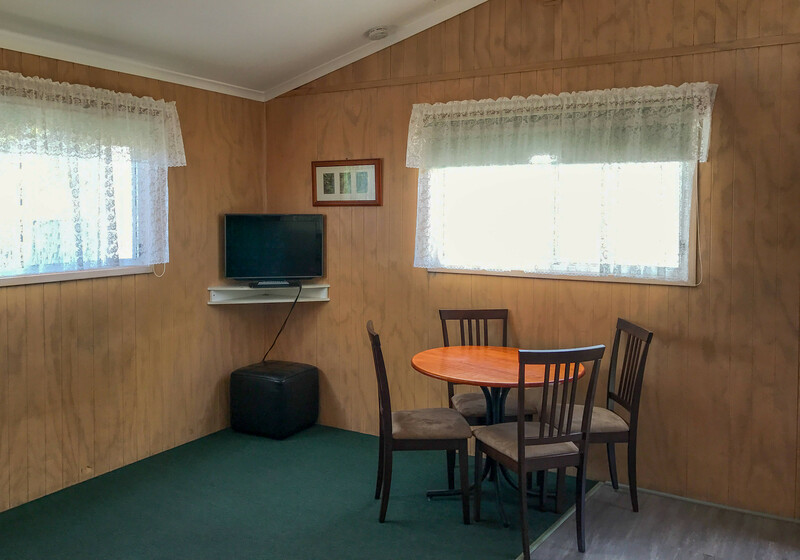 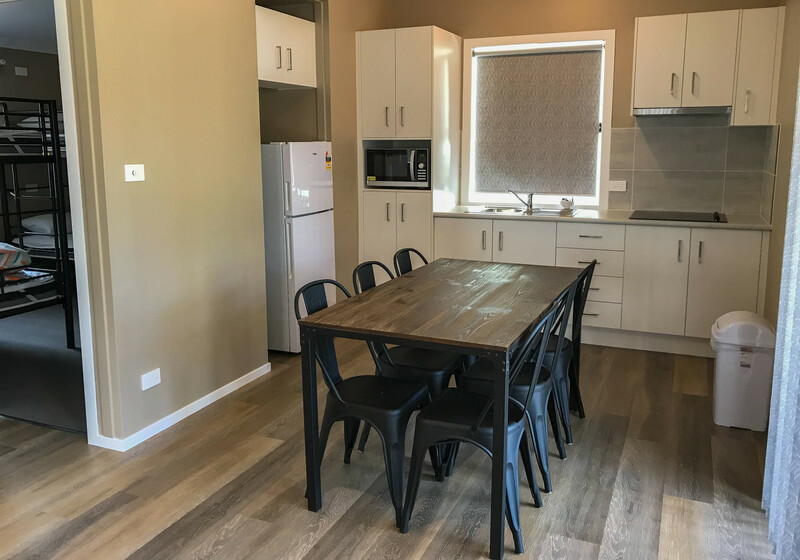 These cabins provide comfortable living arrangements for five people, with a cafe table, so mum and dad can enjoy a coffee or tea on the veranda. 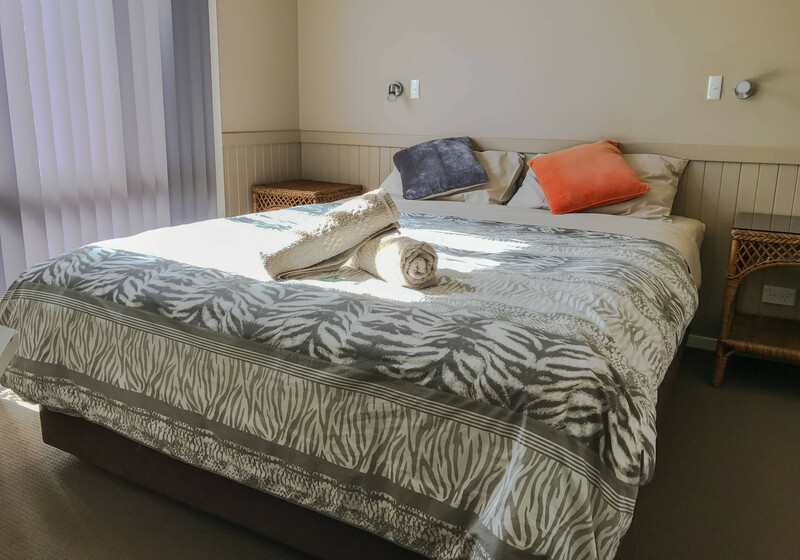 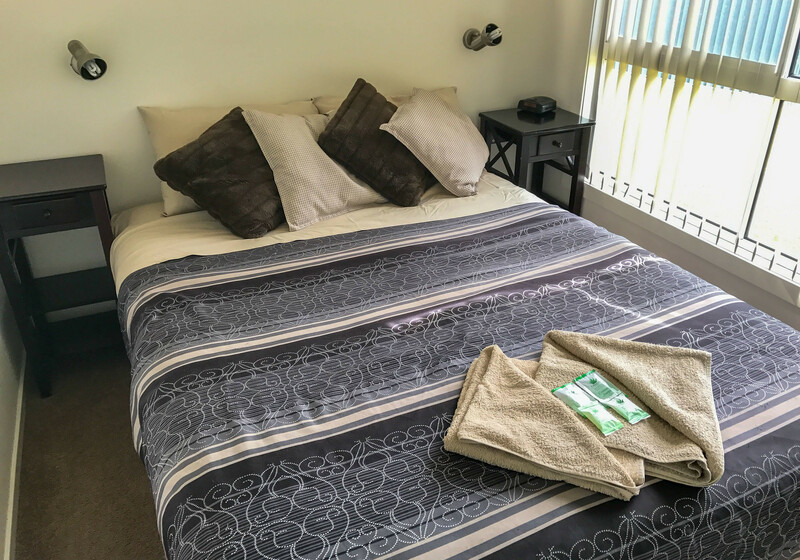 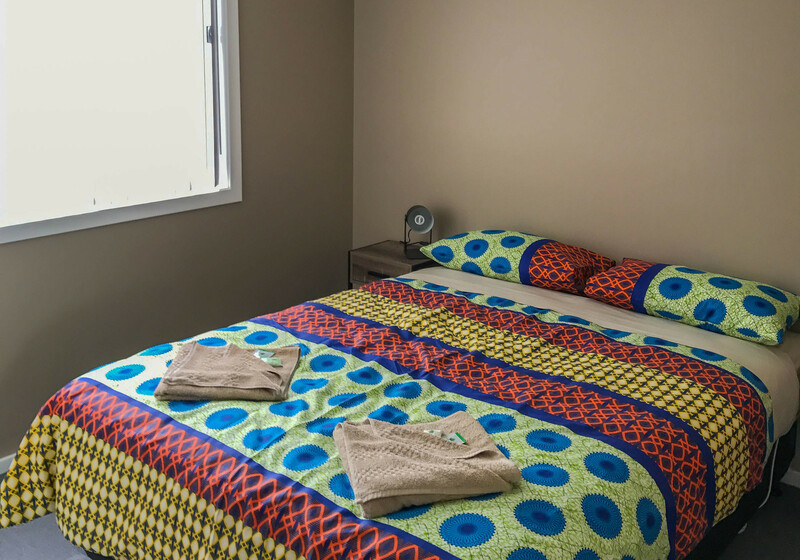 Villa 59 has a queen bed, made up with quality linen and doona. 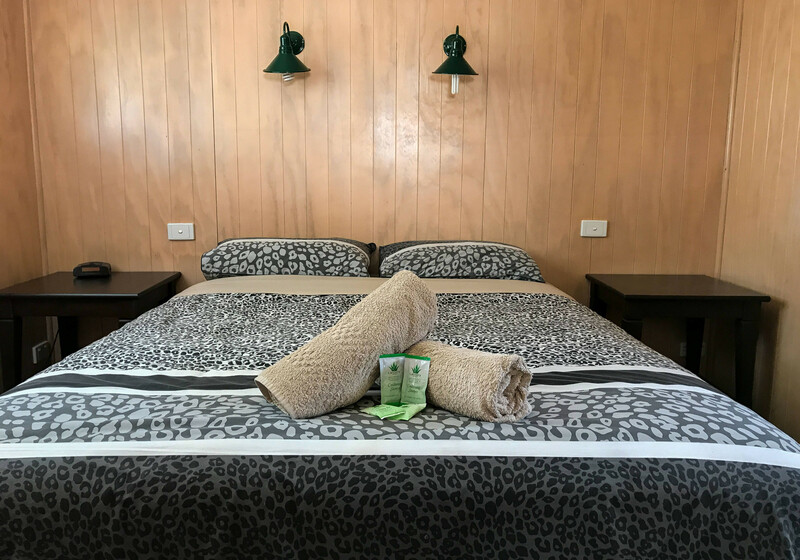 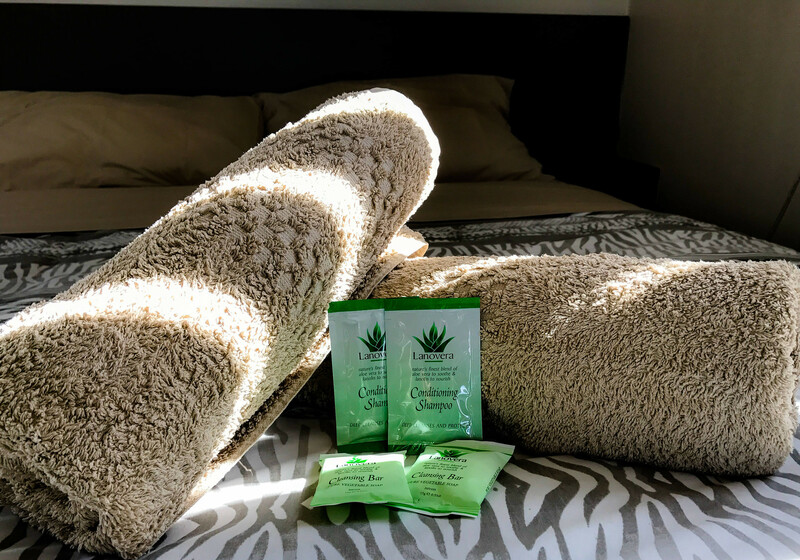 Bedside tables, reading lights, and electric blankets are all included. 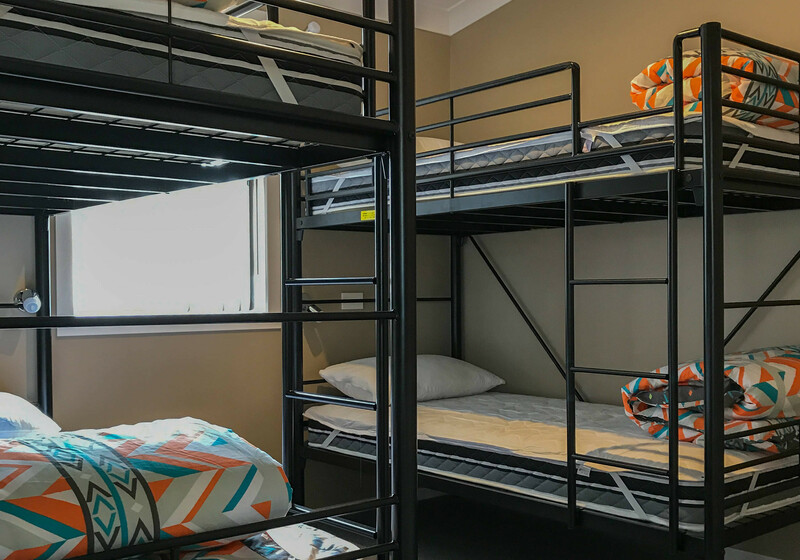 The second bedroom contains three single ensemble beds, making it perfect for adult guests who might not like the idea of bunk beds. 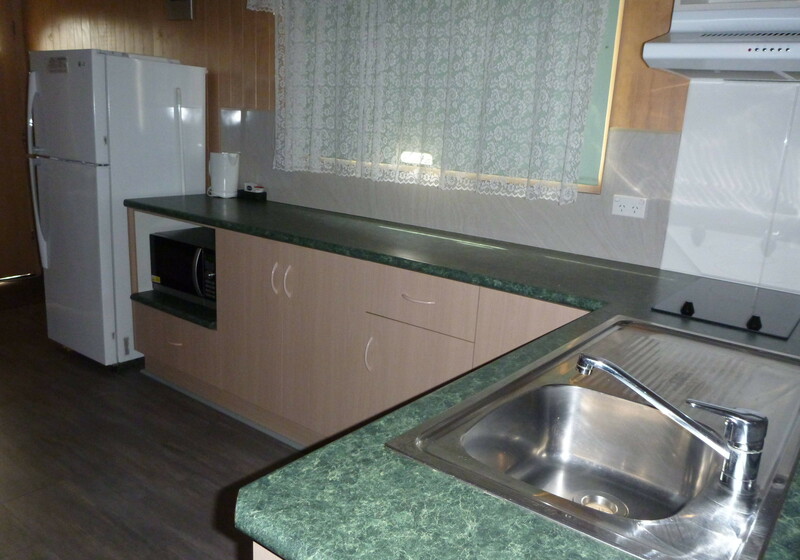 A kitchenette is included, with a dining area and a comfortable sitting area. 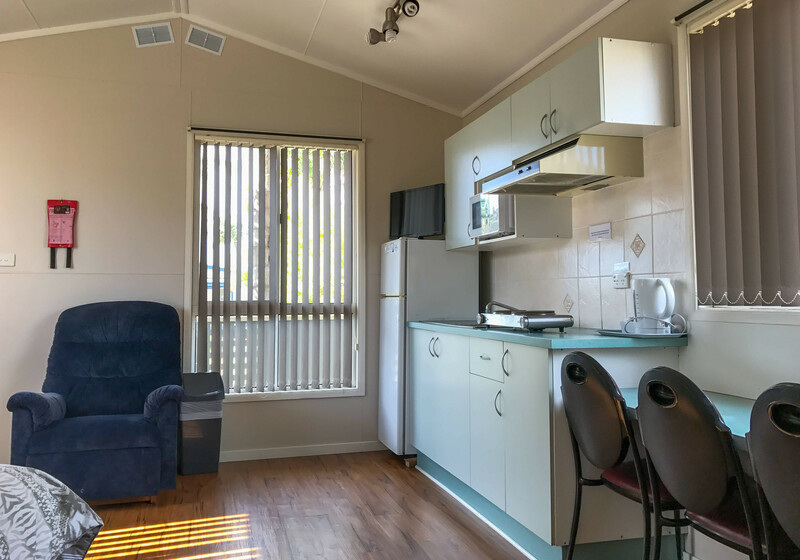 Cabin 56 has a good size lounge/dining room, along with a kitchenette fitted with electric hotplates, and a convection microwave. 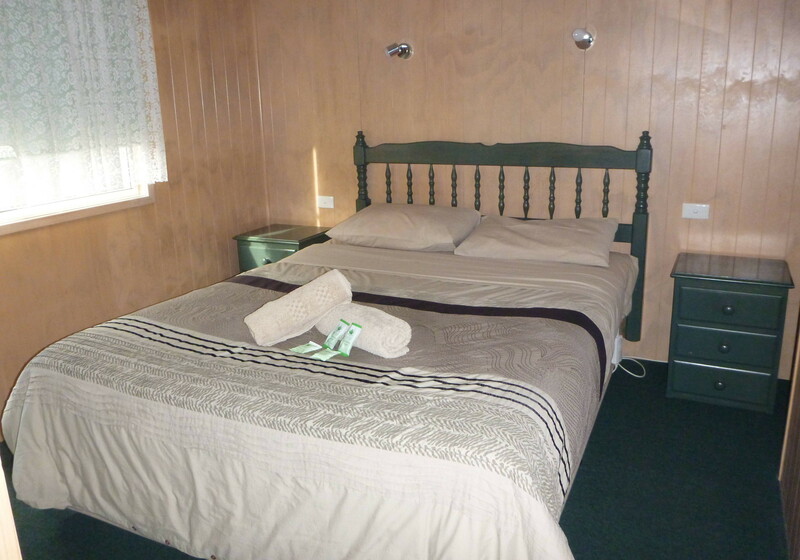 The bedroom has a queen-sized bed with reading lights, a built-in wardrobe, and a ceiling fan. 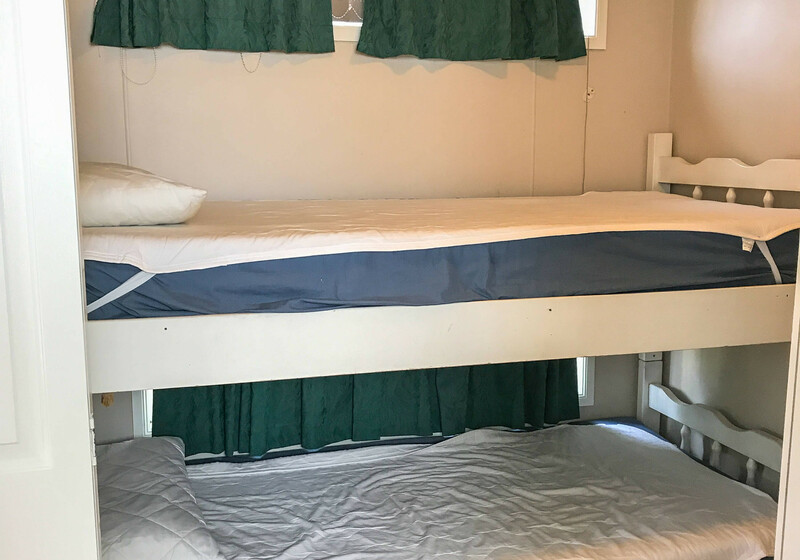 The second room is a bit smaller, and has bunk beds. 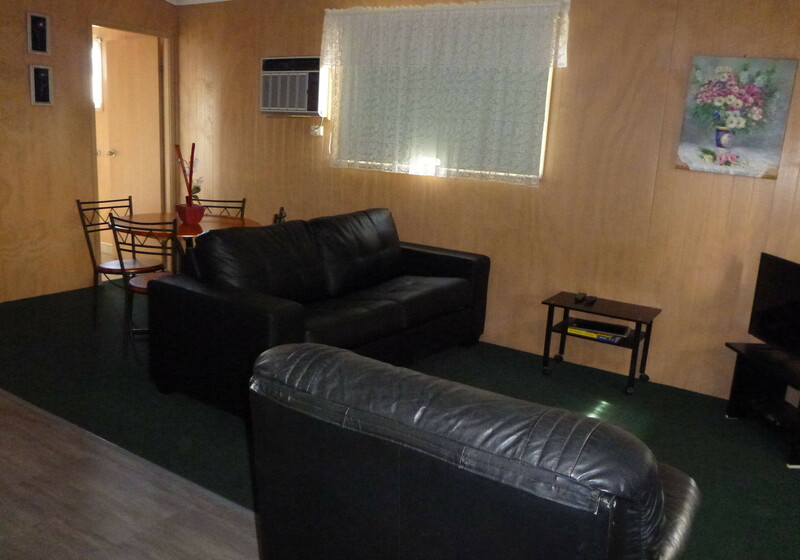 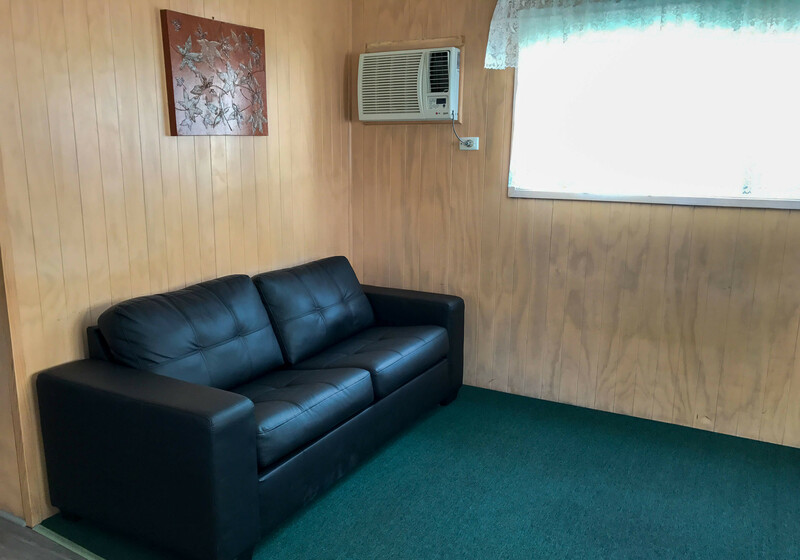 There is a sofa in the lounge, making this cabin suitable for two couples to share. 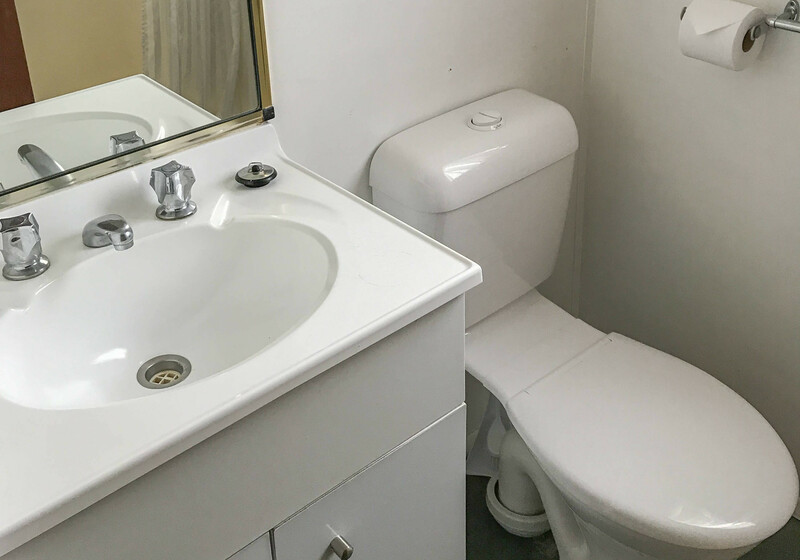 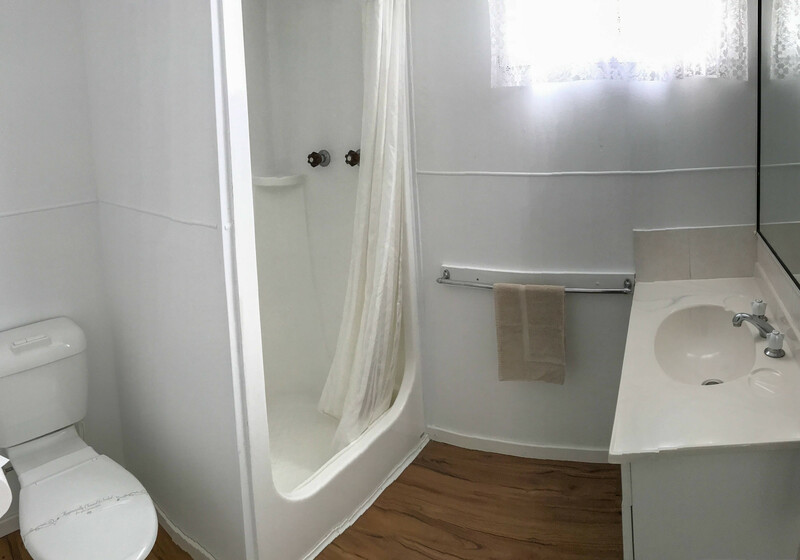 The bathroom has a generous shower with plenty of room. 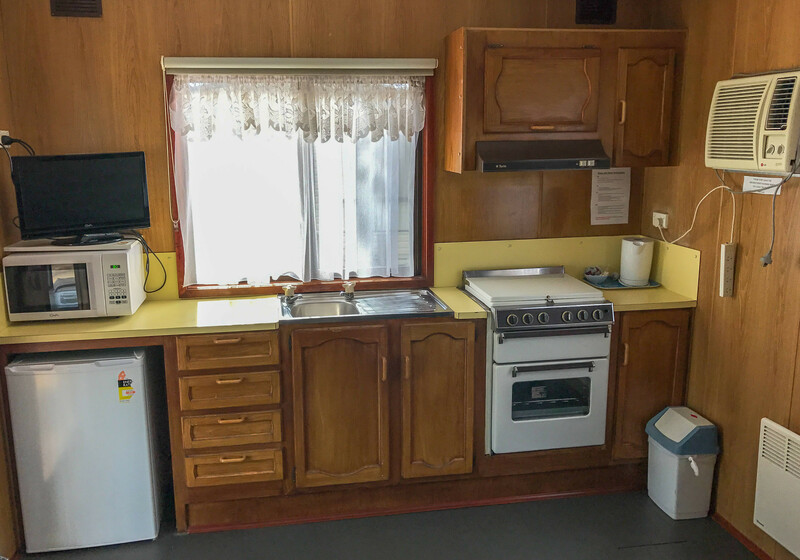 A fantastic cabin well suited for a couple, with a large lounge/dining room, kitchenette with electric hotplates, and a convection microwave. 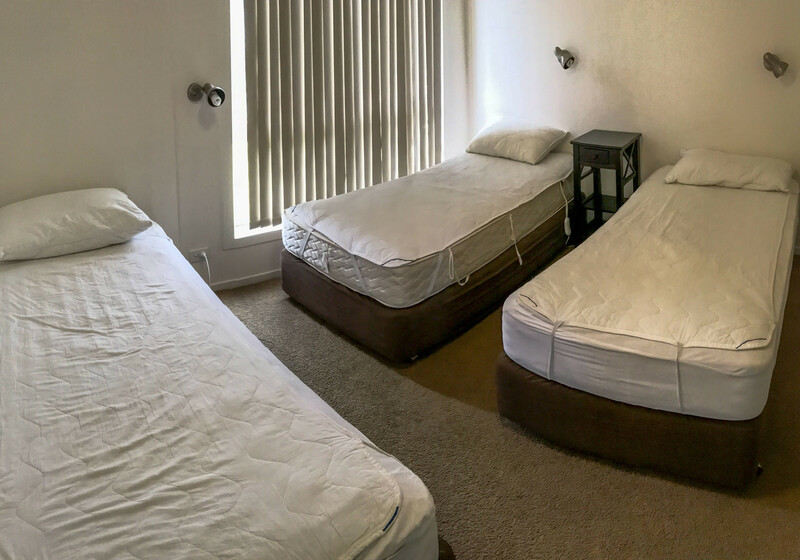 The bedroom has a queen bed with reading lights, a built-in wardrobe with plenty of storage, and a ceiling fan. 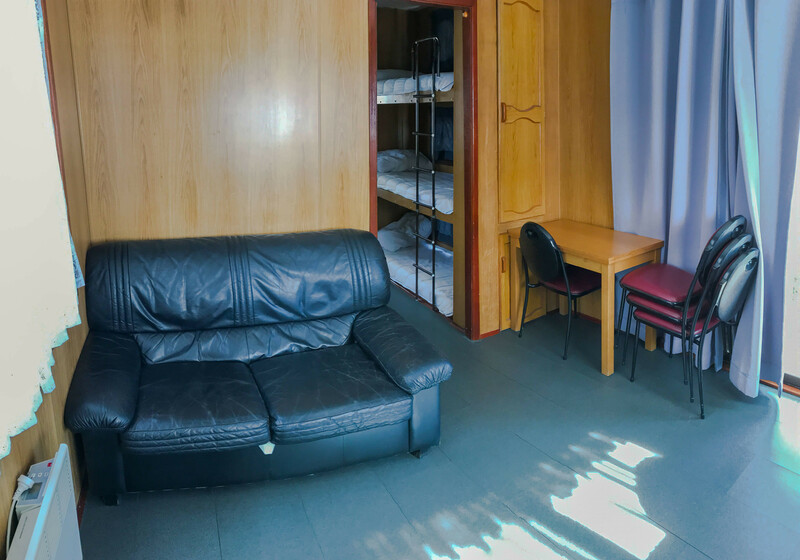 Cabin 53 has a large main room, with a queen-size bed in the living area, along with recliners and a kitchenette. 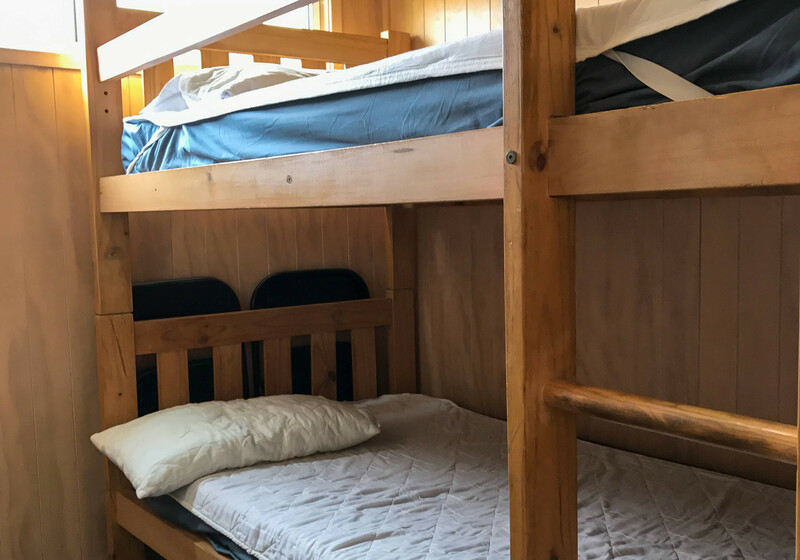 A second room with a door for privacy has bunk beds, and access to the bathroom with a shower and toilet.